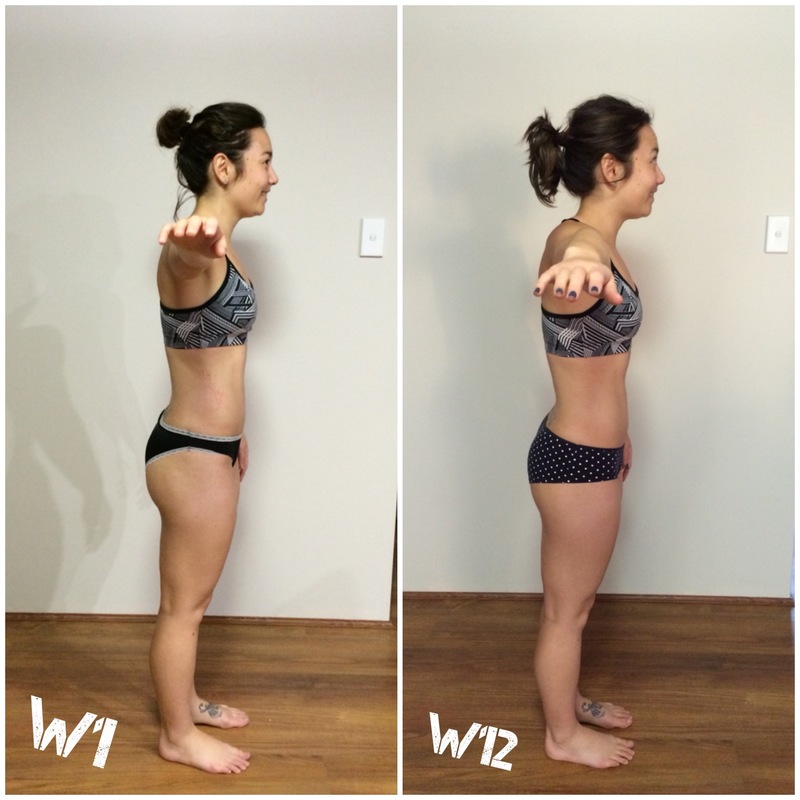 The week before last I finished Kayla Itsines BBG 1.0 for the first time! I cannot describe the elation I felt at finishing; I set myself a goal and smashed it! I thought I’d provide a small review for anyone interested in starting, because I know when I first started looking into BBG, I wanted to read all the review I could to see if buying the guide was worth it. I’m not going to go into reviews of the exercises or anything like that, but more how I feel and what has changed for me over the last 12 weeks, as I think that is most important. Let me start by saying that BBG is not a get skinny quick regime, or anything like that. It takes hard work, organisation, commitment and dedication – nothing in life that is worth anything is ever easy! The guide is definitely worth the money; let’s break down the maths. 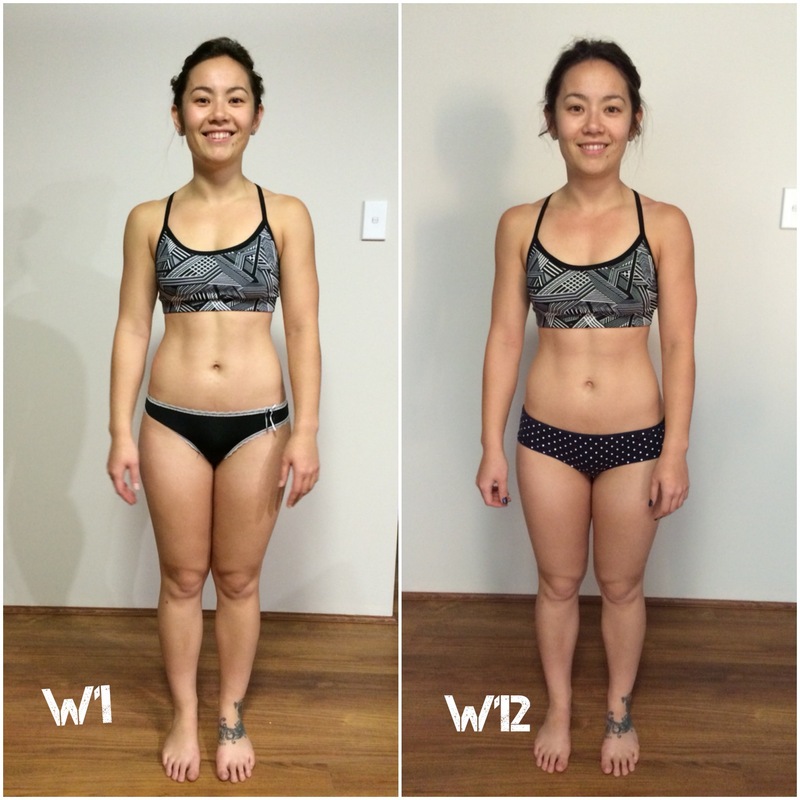 $79.99 AUD BBG 1.0, x3 workouts a week for 12 weeks = 36 workouts in total. That works out to just over $2 a workout, and that’s just for the resistance workouts! Once you add in LISS and HIIT, you really do get your money’s worth. In the beginning, I thought it was a huge amount to pay for an e-Book, but 12 weeks later I know it’s true value; I have changed my eating habits, I have learned resilience and stamina that I have never thought possible, and most importantly, I have learnt self love. As women we are constantly barraged by avenues to think the worst of ourselves – all forms of media provide us with this idea of a perfect women, whether it’s looks, or attitude, or values, and it’s easy to be swept up in this when it is impressed on us from a young age. My journey over the last 12 weeks to self love is mainly through the BBG community via Instagram for me mainly. There is a huge focus on all body types, on all stages of journeys, and most importantly, never comparing yourself to someone else’s body. It’s hard to explain, but the support, encouragement, motivation and inspiration I have drawn from other strong and healthy women is amazing. I’m not sure you quite understand this movement of empowered, courageous women until you start BBG – they know the sweat and pain that you’re experiencing, and they are there to help you, encourage you, and guide you! Nobody knows the feeling of having the burpees increase from 10 to 15 like your BBG sisters! Before BBG I had an unhealthy relationship with food, and would often binge eat and then feel guilty for days. I have learnt during BBG that life is all about balance; healthy choices 80% of the time, and enjoying myself 20% of the time is my breakdown now. I don’t feel guilty about eating chocolate – I just pick dark chocolate instead which is better than white or milk chocolate. I snack a lot in order to keep hunger at bay, as I found that when I went longer than 2-3 hours without eating, I would make food decisions that were generally unhealthy. BBG has taught me all of these things, I think because I’m working out so much. I want to fuel my body with good, healthy food to ensure it’s strong enough to keep working out. Now if I go more than 2 days without a workout, I really miss and crave exercise! The journey of self-growth that I have experienced in the last 12 weeks is why I would definitely recommend the BBG 1.0 guide. It is what you make it, and the self discovery journey is worth it by itself. I’m sorry this review is a little all over the place; I’ve thought about this post for a few days and I can’t succintly write why I love BBG so much – I feel like it’s hard to adequately explain the emotional journey I’ve been on in the last 12 weeks! If you have any specific questions about experiences with BBG, I’d love to hear from you! 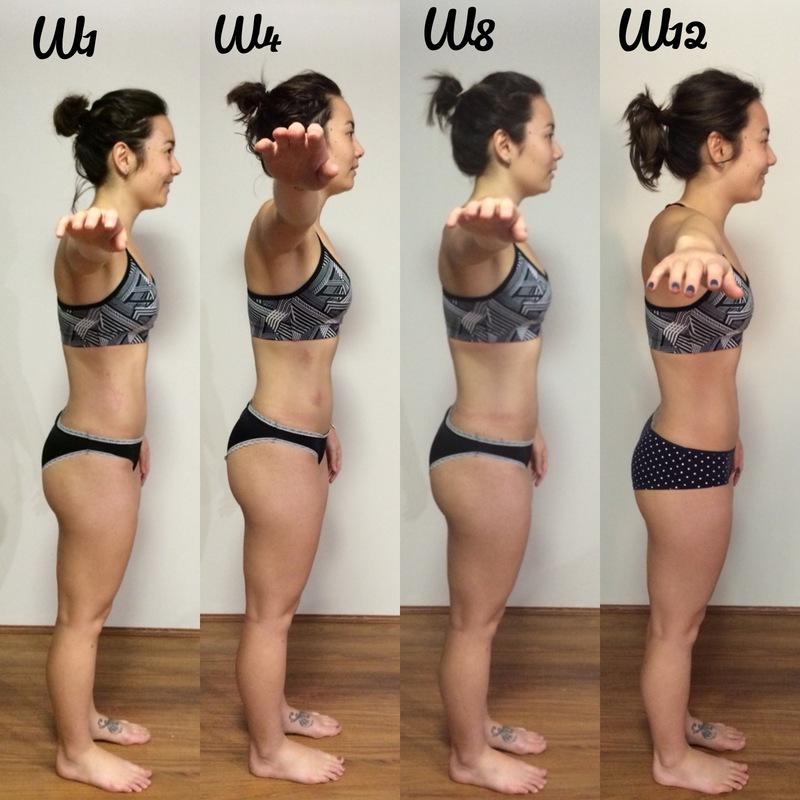 Some progress pictures of my experience with BBG are below – check out my Instagram for more! Thanks babe! I’m thrilled too .. This BBG community blows me away – such amazing women banding together to support and encourage each other is something to be celebrated! For me I really wanted to focus on the fact the changes aren’t just physical; I think we underestimate the importance of mental strength and progress to. It’s all about mental changes for me, not just physical and by Week 12 my perspective has completely changed – did you read my post; or just jump to comment on a photo? I hate to say it, but starting any comment with “not to be rude” doesn’t come across so well.